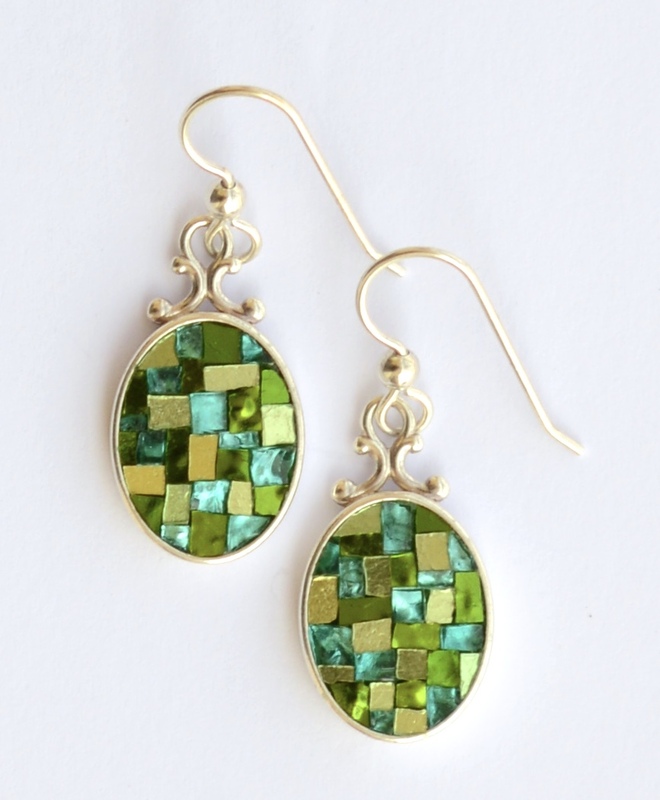 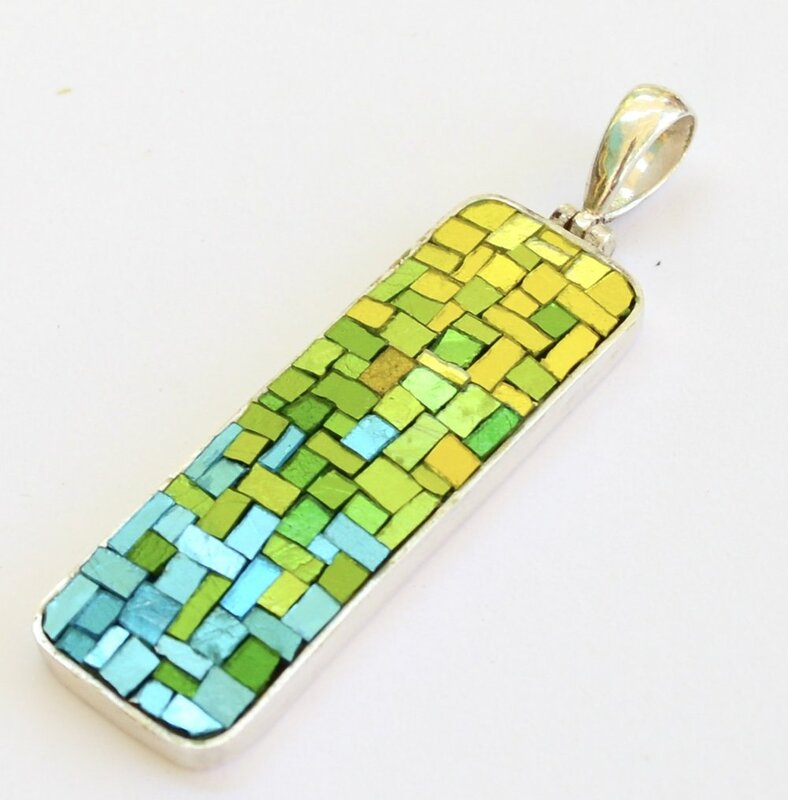 In the last several years, and particularly since becoming nomadic, I have been focusing on fine mosaic jewelry. 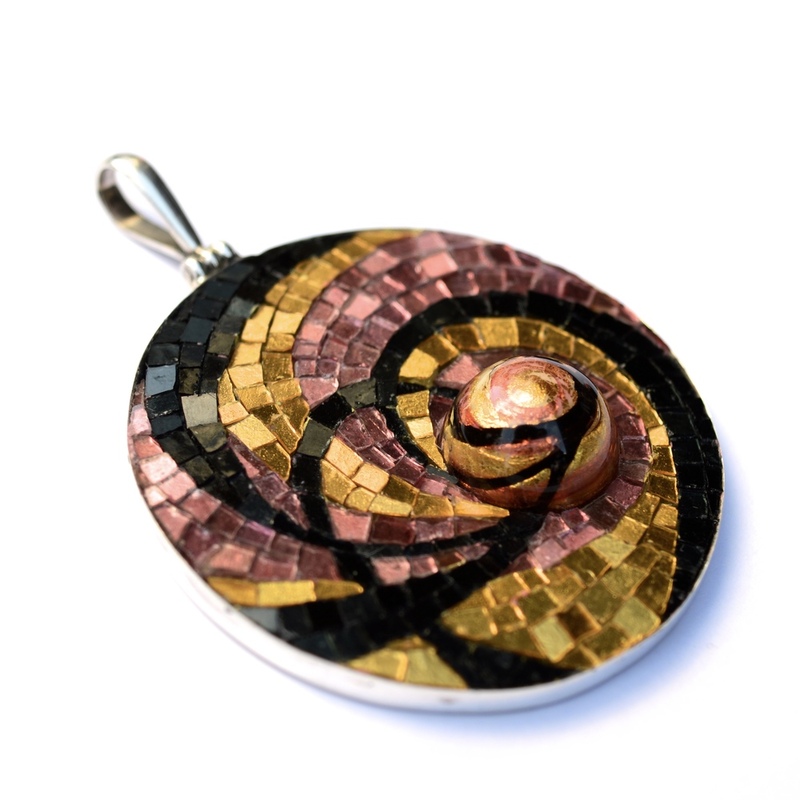 Each mosaic jewel is unique and painstakingly created using 24k gold leaf glass tile and sterling silver. 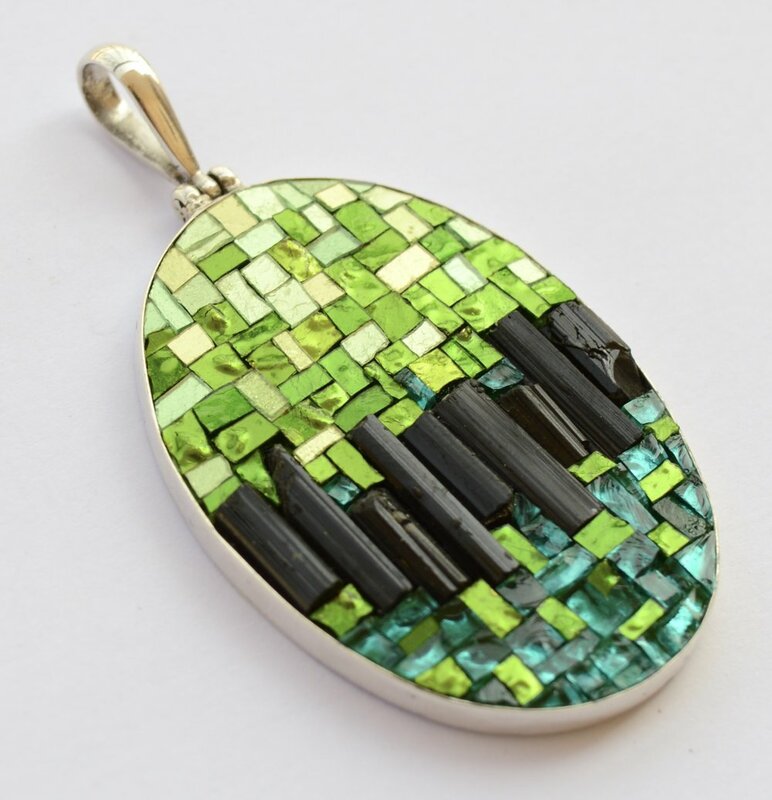 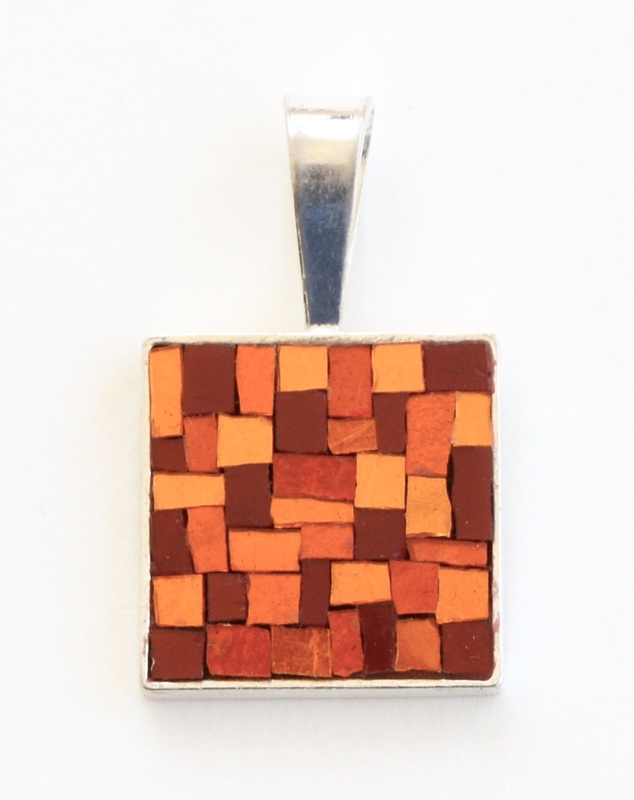 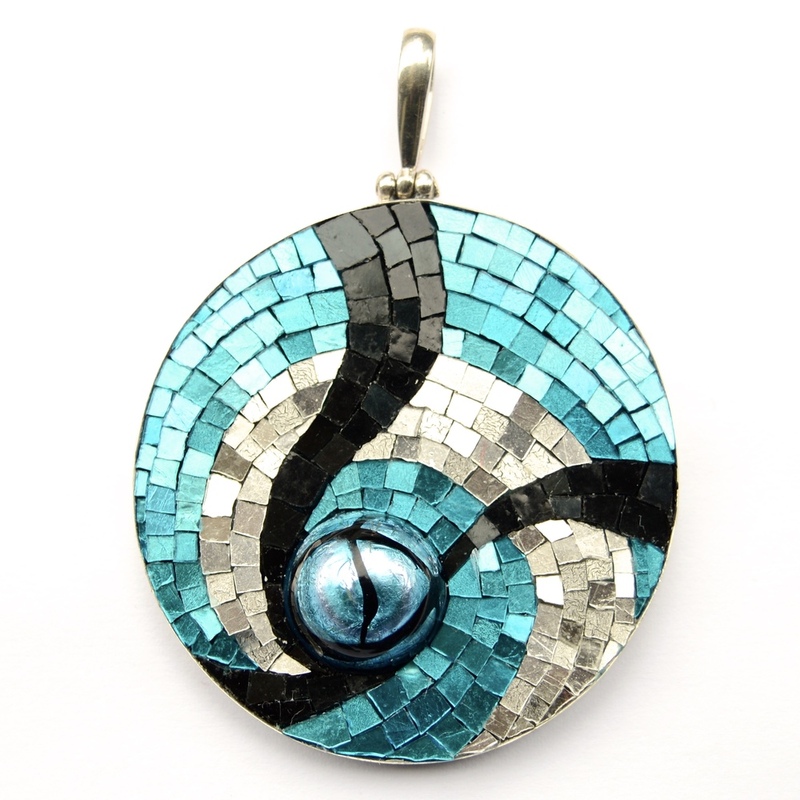 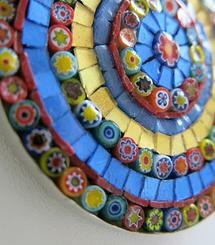 My mosaic jewelry is carried by numerous galleries around the world. 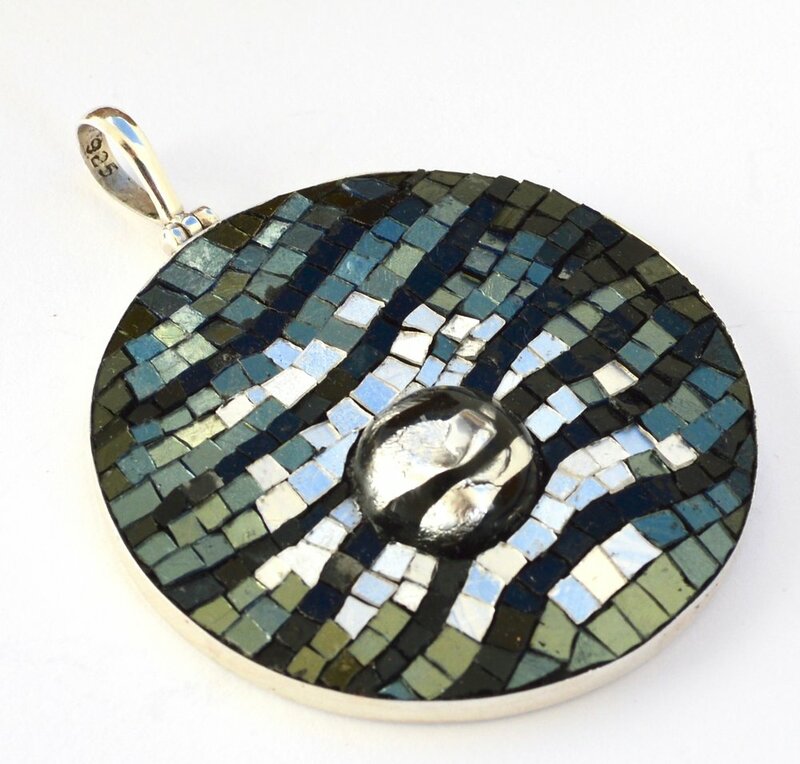 A carefully planned mosaic travel kit allows me to create this beautiful jewelry wherever I go. 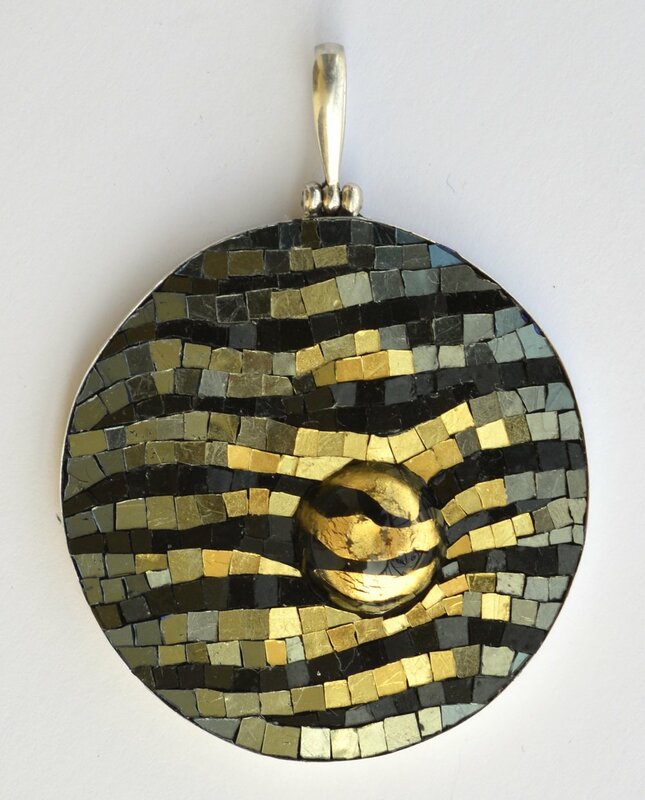 To see more of the collection and read the story behind each piece, please visit my Mosaic a Day blog.